Just like Felted Pompom Pressure Sensor and felted crochet pressure sensor, it also works as pressure sensor when conductive yarns are woven into a textile structure. Here I tried two types of woven structure, satin and honeycomb. The honeycomb is a structure often used for tea towels and blankets. 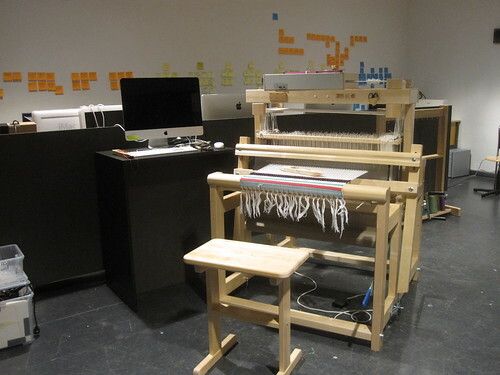 It creates 3D structure when taken off from the loom. This 3D structure helps for the pressure sensor to function as it separates the yarn when not pressured, and it also gives a nice bouncy feedback when you touch/pressure. 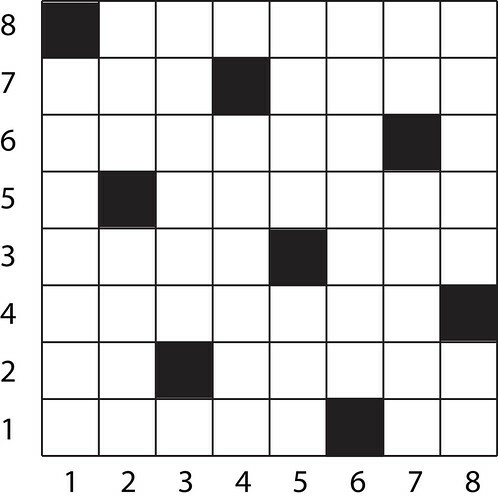 Here is the 8 shaft construction for the honeycomb. 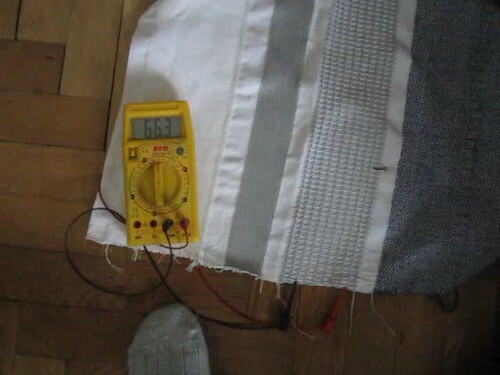 The try-out movie shows the resistance change between 66k ohm to 8k ohm as I step onto it. 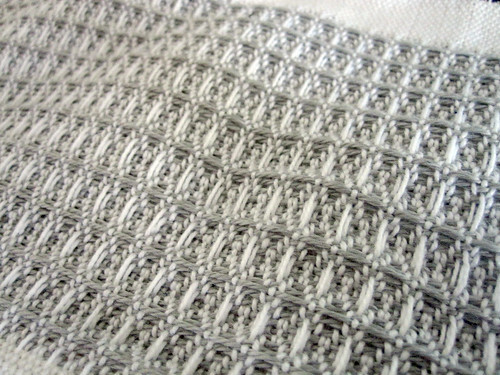 The another structure I tried is the weft faced satin. 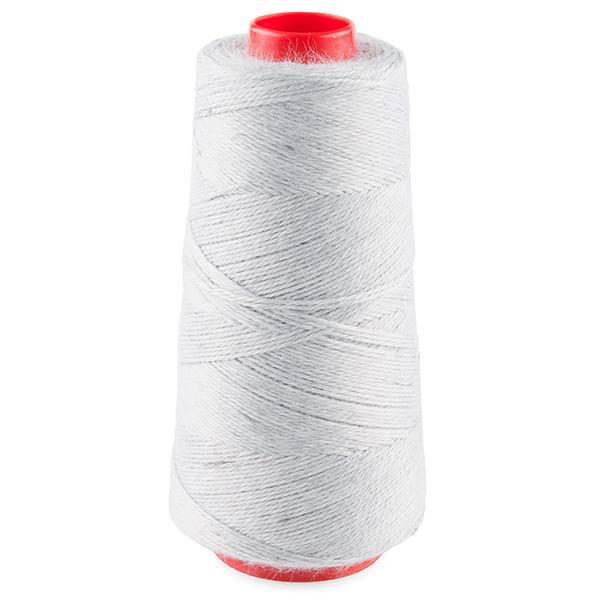 as satin does not bind the yarn tight compare to the plain weave structures, it still allows the external pressure to change its density (resistance). 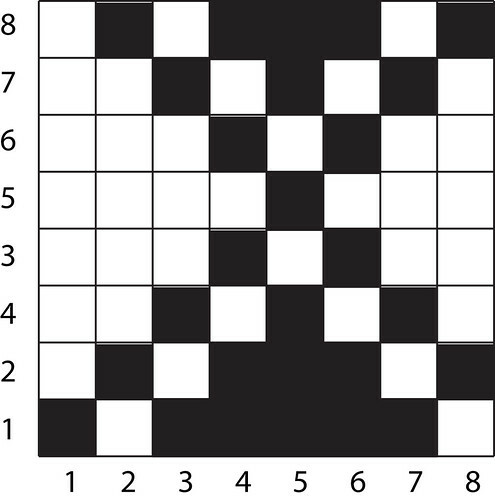 Here is the weaving construction of the 8shaft satin. 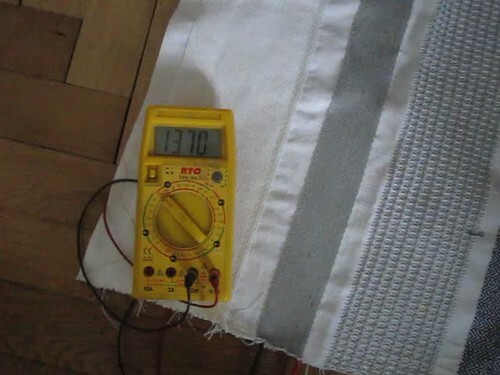 The resistance between two points of the fabric changes between 1200ohm to 240ohm as I step onto it. Also, you can observe the pressure change as I shift the balance on the stepping foot. To make these sample pieces, I used conductive yarn from Sparkfun (20% steinless steel/ 80% polyester) which is the same as the plug and wear conductive yarn. 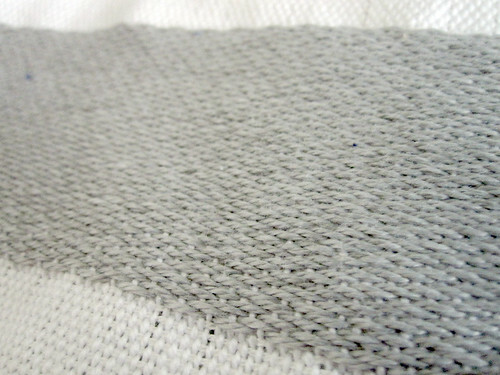 As for weaving, I used computerized shaft loom from Toika, with the warp 12/cm, cotton thread setup.